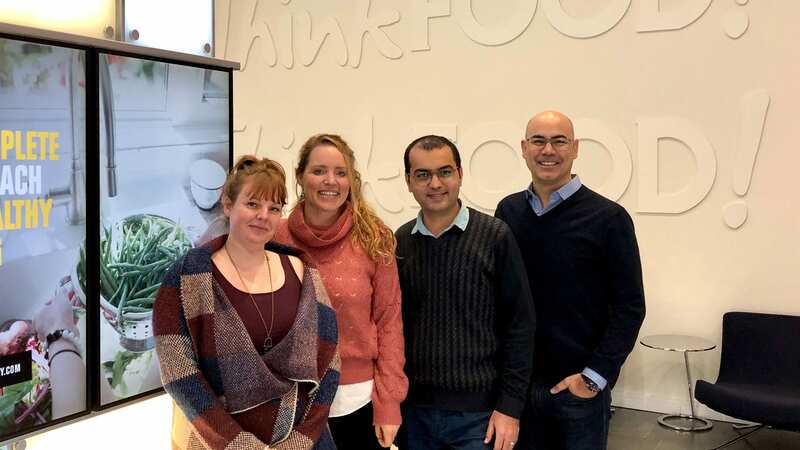 The team is analyzing the ecological footprint and nutritional impact of both established and novel protein sources in Canada. Their research will inform the development of an accessible online tool and infographic to mobilize knowledge such that consumers can learn more about their consumption decisions. The team’s focus on protein is deliberate. Livestock production is having a large environmental impact around the globe. It is responsible for 67% percent of all agricultural land use, accounting for over a third of the world’s arable land and results in 18 percent of all greenhouse gas emissions. North American meat consumption rates, in particular, are staggering. Recent research suggests if everyone consumed the USDA Dietary Guidelines of 83 grams of protein in the form of meat, the planet would require an additional 1 giga-hectare of land for livestock and farming. This means the ‘cold-cut’ reality of current meat consumption patterns in North America is that they are simply unsustainable. This is particularly concerning given millions of people elsewhere in the world still suffer protein deficiency. “Eating protein is essential to human life but, many of us remain unsure how much protein we actually need and what are the best sources to acquire it from for optimal health,” says FfT team member and Graduate Student in the School of Environmental Sciences, Chelsea Moore. “Even more overwhelming, is navigating these uncertainties while attempting to remain cognizant of environmental impacts, and balancing this with our finances”. Nine essential amino acids – the building blocks of proteins – must be obtained from our diet to support our health. Animal proteins contain all these essential amino acids and are generally recognized as more digestible for humans than other sources. However, protein over consumption, specifically from higher animal-fat containing and processed meat sources, is linked to increase the risk of cancer, heart attack, stroke and kidney damage. Insects, in particular, have drawn considerable academic and public attention as they are a novel protein source to many regions and their efficiency gains can be considerable. Crickets, for example, can use as little as 5 – 10 per cent of the land required for intensive beef farming or roughly 30 – 50 per cent of that required for poultry production. They are also an excellent source of vitamins and minerals and can convert food-waste products to edible body-mass. The team acknowledges that it remains undetermined whether or not non-traditionally insect consuming populations, such as Canadians, will accept such food products. By contrast, consumer acceptance of plant-based proteins is evidenced by the rapid expansion of these markets in North America and Europe in the last decade: a trend that is expected to continue. Between 2013 and 2017, the availability of plant-based proteins has increased 62%. Gains have also been observed in the meat substitutes market, which topped 4.6 billion in 2018 and is expected to increase another 50% by 2022. Provided potential nutritional discrepancies between protein sources, the team suggests dietary optimization can utilize both animal and non-animal sources. Diversity of protein sources, they clarify, can enhance diets without eliminating favourite and traditional protein foods all-together. The team has been working since September and will present their research and consumer approach strategies at the upcoming Terroir Symposium in Toronto on May 6th. Their work is funded by the Canada First Research Excellence Fund and is part of the FfT’s larger mandate to create implementable solutions to key agri-food issues today. Nowak, V., Persijin, D., Rittenschober, D. and Charrondierre. R. 2016. Review of food composition data for edible insects. Food Chemistry. 193 (15): 39-46. Van Huis, A. (2015) Edible insects contributing to food security? Agriculture and Food Security. 4(20).